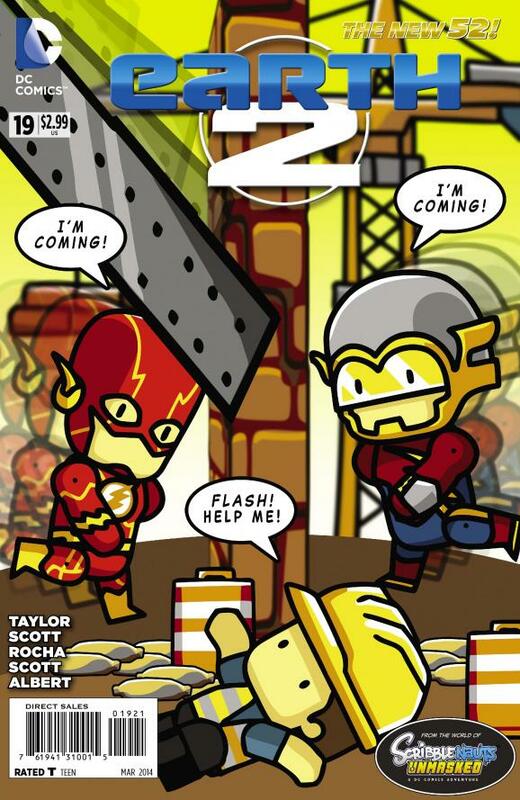 It’s an homage to the classic Flash #123 cover, featuring Barry Allen and Jay Garrick…but this time it’s their New 52 versions as seen through the Scribblenauts style. This entry was posted in Covers and tagged Barry Allen, Earth 2, Flash of Two Worlds, Homage, Jay Garrick, New 52, Scribblenauts, Variant Covers on January 7, 2014 by Kelson. The store in Brisbane is selling this one for $15. I like it, but not that much!! !